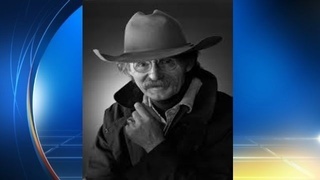 World-renowned trauma surgeon Dr. James H. "Red" Duke Jr., has died at the age of 86 on Tuesday, KPRC 2 News has learned. Duke, who was with both UT Health Science Center and Memorial Hermann Hospital, leaves behind a long list of medical achievements, including helping to pioneer LifeFlight, the air ambulance service. His family released a statement Tuesday night that read in part, "It is with great sorrow that we announce the passing of Dr. James Henry "Red" Duke, Jr. To countless colleagues, friends and patients, he was a skilled physician, innovative healthcare provider, exceptional communicator and dedicated conservationist. We, however, mourn him as a caring father, grandfather and devoted brother who will be deeply missed by his family. Additional information regarding tributes to Red's life will be forthcoming." As a state representative in the 1980s, Harris County Judge Ed Emmett remembers Henry well. "When he showed up in the legislature, we just went, 'Yes, sir,'" Emmett said. "He really brought the state of Texas to the forefront when it comes to trauma care. He did that. That's the legacy of Red Duke. Emmett also credited Duke with being instrumental in getting Texas' seat belt laws passed in the mid 1980s by speaking in front of the Legislature on why the measure was necessary. "Red Duke came up and just pretty much schooled the legislature and everybody else on that," Emmett said. Dr. Kenneth Mattox, chief of staff for Ben Taub Hospital, worked closely with Duke in the 1960s. While technically competitors, both shared a passion for creating what is now a world-renowned trauma center in Houston. "We immediately recognized we needed each other," Mattox said. Mattox also remembered the day in 1963 when he and Duke were young docotrs at Parkland Hospital in Dallas when President John F. Kennedy was shot. Then-Texas Gov. John Connnally was in the next room and had trouble breathing. He remembers exactly what Duke said to Connally. "'Governor, I'm going to have to put a chest tube in you. And he did and the governor said 'Thanks, I needed that,'" Mattox said. Duke lived his life by one set of principles, Mattox said. "Tremendously moral, and dedicated to honesty, to integrity, to starting a job, finishing that job and doing it well," Mattox said. "(Dr. Duke) was with family at Memorial Hermann. He was not in pain. He will be missed very much by all of us at UT Medical School and Memorial Hermann." Duke is also famous for his nationally syndicated television health reports, which aired for 15 years around the country. "Dr. Duke was a true pioneer – a talented and tireless surgeon, a dedicated and inspiring educator, and a friend and mentor to everyone he met. He never sought to be a leader, but became one naturally through his brilliance, compassion, patience and selflessness," Giuseppe N. Colasurdo, M.D., president of UTHealth and dean of UTHealth Medical School, said. "He was a constant presence at our university and we will miss his guidance, his wit and, most importantly, his example. From all of us at the University of Texas Health Science Center at Houston – thank you Dr. Red Duke." According to his biography on the UT Health website, Duke was born in Ennis, Texas, and attended Hillsboro High School. He studied at Texas A&M University and received his doctorate from the University of Texas Southwestern Medical School in Dallas. Dr. Red Duke Elementary School in the Alvin Independent School District was named for Duke. "As a physician, Dr. Duke is remembered for his tireless and steadfast dedication to his patients, as well as his personable bedside manner. He was compassionate, ethical, brilliant and humble. A colleague and a friend to all of us, he leaves behind a legacy of selfless service to his beloved community. He was a great physician, but even more so, an extraordinary man," Craig Cordola, regional president at Memorial Hermann, said in a statement. In lieu of customary remembrances, the family requests that memorial contributions be directed to the James H. "Red" Duke, Jr. MD Endowed Scholarship Fund, UTHealth Office of Development, P.O. Box 1321, Houston, TX 77251-1321 or to the Memorial Hermann Life Flight Fund.